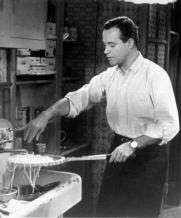 Jack Lemmon. Shirley Maclaine. Fred Macmurray. Classics. Comedy. Oscar (Best Picture). Peoples' Choice. Romance. Drama. Guardian 1000 Must See (2007). BAFTA (Best Film). BAFTA (Best Male Lead). Oscar (Best Director). BAFTA (Best Female Lead). AFI Top 100 Movies Ever. 01 Becky's Bests. 01 Tara's Midnight Movies. Christmas Films. Recommended. 01 Ade tastics.